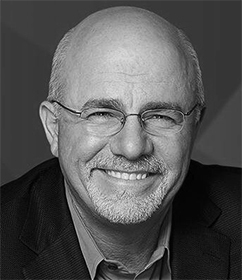 Dave Ramsey – One of the great motivational speakers in America. His show and writings strongly focus on encouraging people to get out of debt. His books and broadcasts often feature a Christian perspective that reflects Ramsey’s religious beliefs. Ramsey was named the 2009 Marconi Award winner for Network/Syndicated Personality of the Year. Ramsey’s company, The Lampo Group, Inc., headquartered in Brentwood, Tennessee, oversees three divisions geared toward financial counseling. Ramsey has been featured on many media outlets including The Oprah Winfrey Show, 60 Minutes, and The Early Show on CBS. He made big time gains on Dr. Phil. He recorded a pilot and six unaired episodes of The Dave Ramsey Project for CBS. He was the host of The Dave Ramsey Show, which aired at 8 p.m. ET and repeated weekdays on the Fox Business Network until June 2010.